Aerospace technology company FlexSys Inc. has joined forces with Aston Martin to apply their advanced FlexFoil™ technology to Aston Martin’s latest ultra-high-performance vehicle. On March 5, 2019, Aston Martin announced that the rear wing of their new AM-RB 003 hypercar will incorporate FlexFoil™ shape adaptive wing technology. FlexSys Inc. has worked with Aston Martin over the past several years to develop technologies ranging from the AM-RB 003 morphing wing, to the Valkyrie windshield wiper system that enables rain clearance throughout the entire sweep of an extremely complex windscreen. David Hornick, President and COO of FlexSys Inc. describes Aston Martin as being “laser focused from the start of our relationship, on achieving technical perfection in performance car systems and aerodynamics”. The shape adaptive rear wing on the AM-RB 003 allows for the car’s downforce to be changed without changing the mounting position of the wing, resulting in a seamless design with high performance, improved efficiency and reduced wind noise. In addition, the turbulence and associated drag increase found in current “state of the art” active wing designs is virtually eliminated. FlexSys, a Michigan based company, has been developing advanced aircraft wing technologies with the United States Air Force Research Laboratories for the past 18 years and has validated the fuel savings and noise reduction benefits of its seamless shape adaptive wings through extensive NASA flight testing on a modern aircraft. The patented technology involves variable-geometry control surface mechanisms that exploit the inherent flexibility of aerospace materials to continuously reshape wing profiles for optimal performance throughout the flight. FlexSys Inc., an Ann Arbor Michigan based company, was founded in 2000 by Dr. Sridhar Kota to develop and commercialize his patented design of a shape-morphing adaptive control surface of an airfoil. As a professor of Mechanical Engineering at the University of Michigan (1987-present), Dr. Kota initiated research in compliant mechanisms in the 1990s and pioneered the bio-inspired concept of Distributed Compliance for designing strong and flexible one-piece machines. FlexSys developed proprietary software for creation and optimization of compliant systems and successfully demonstrated the application of compliant design methods for aerospace, automotive and other applications over the years. Today, FlexSys is an established world leader in shape-adaptive structures. Shape-changing wings could help futuristic blended-wing aircraft adapt their lift-to-drag ratio as conditions change during flight. In the meantime, flexible control surfaces will be tested on modern commercial planes in the next three years. After several years of technology development and full-scale flight testing, the engineers at FlexSys Inc. in Ann Arbor have crafted a new FlexFoil™ morphing technology demonstrator wing that was unveiled at the 2016 National Business Aviation Association (NBAA) convention in Orlando, FL. The effort is in support of their new joint venture with Aviation Partners Inc., Aviation Partners FlexSys (APF) and demonstrates that the technology is ready for application-specific design for commercial and military use. FlexSys Founder and CEO, Sridhar Kota, recieves the 2017 DIstinguished University Innovator Award from the University of Michigan for the developemnet and commercialization of shape adaptive aircraft wings. The October/November 2016 issue Professional BoatBuilder magazine featured FlexSys technology in an article describing the ways that new technologies in aviation can be used in the boatbuilding industry. In particular, the author notes that the wing morphing technology used in aerospace applications can be applied to trim tab planes on boat hulls, which can control attitude of the hull with less sacrifice in drag than conventional trim tabs. Aviation Partner's Joe Clark was honored by the National Business Aviation Association with the 2015 Meritorious Aviation Service Award for his contributions to Aviation. 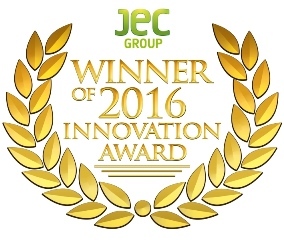 The award was presented at the 2015 NBAA Conference on November 17 in Las Vegas, NV where FlexSys' joint venture with Aviation Partners was also announced. 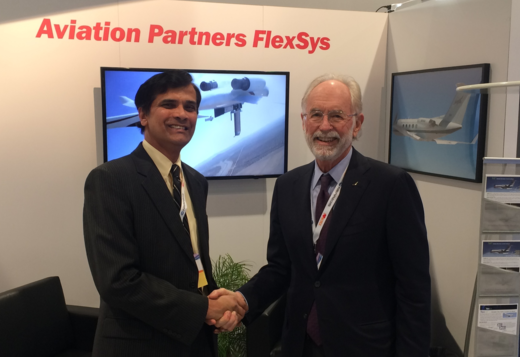 Seattle, Washington based Aviation Partners, Inc. and FlexSys, Inc. of Ann Arbor, Michigan are forming a JV. The new company, Aviation Partners FlexSys (APF), is being founded to commercialize the patented ‘wing morphing’ technology which FlexSys, Inc. has been working on since its formation in 2000. FlexSys’ FlexFoil™ variable geometry control surface mechanisms were recently test flown on a Gulfstream business jet. FlexSys has been honored with a Tibbetts SBIR (Small Business Innovation Research) Award for Companies for its work with the US Small Business Association to get FlexSys technology in the air. The FlexSys/USAF/NASA Active Compliant Trailing Edge (ACTE) project has been receiving a lot of press lately. We have compiled some of our favorites that best summarize the project. 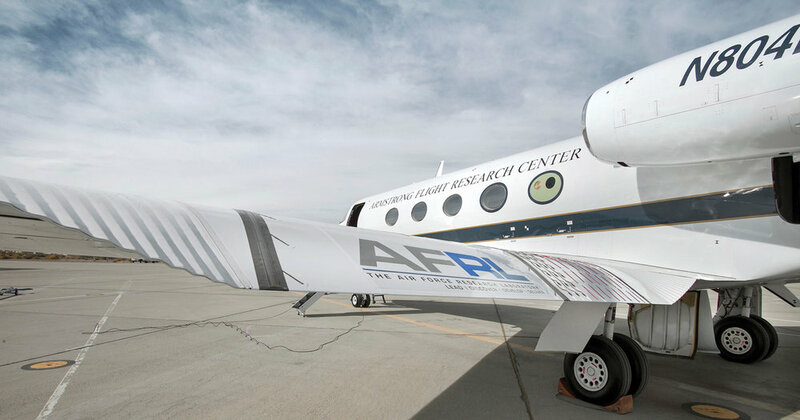 NASA Armstrong Flight Research Center, FlexSys' flight testing partners in the FlexFoil™ ACTE flight test program, have published a video of the high-speed taxi and early flight tests of the FlexSys ACTE flaps. ANN ARBOR — by Matt Roush. A feature of aircraft design unchanged for nearly a century may have been twisted into a new shape as a result of a revolutionary new structure being tested by NASA in the Mojave Desert. A specially modified Gulfstream III jet successfully took to the skies over NASA’s Armstrong Flight Research Center Nov. 6 using shape changing wings rather than the standard wing flaps. The long-sought elusive goal of practical, seamless control surface technologies has finally been realized with the introduction of a variable geometry airfoil by FlexSys, Inc. The technology was showcased at the AIAA convention in Washington, DC January 13–15.